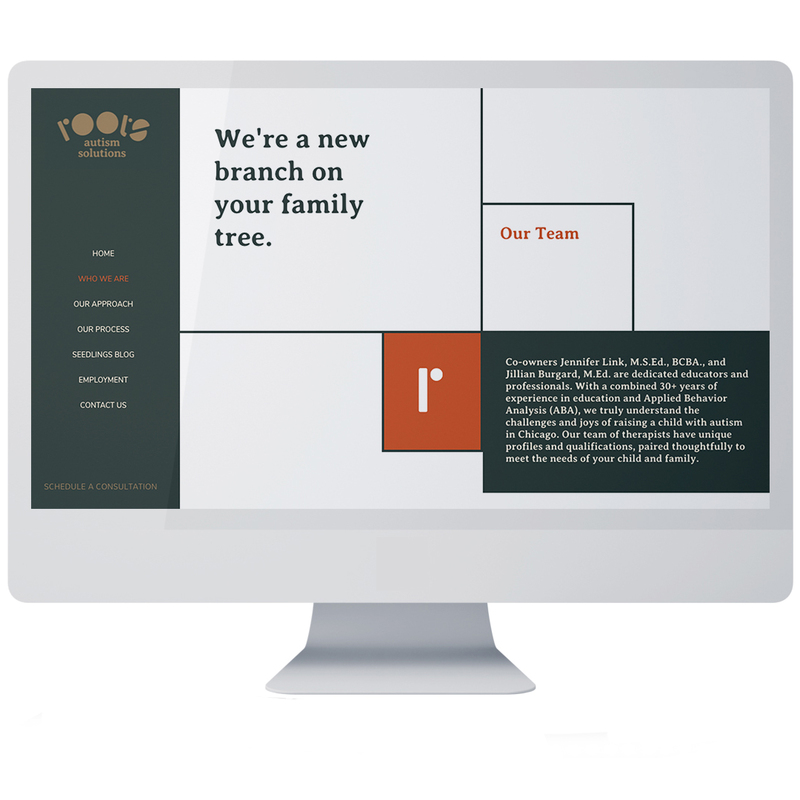 Roots Autism Solutions works with families and schools to help kids with Autism thrive in the classroom and at home. 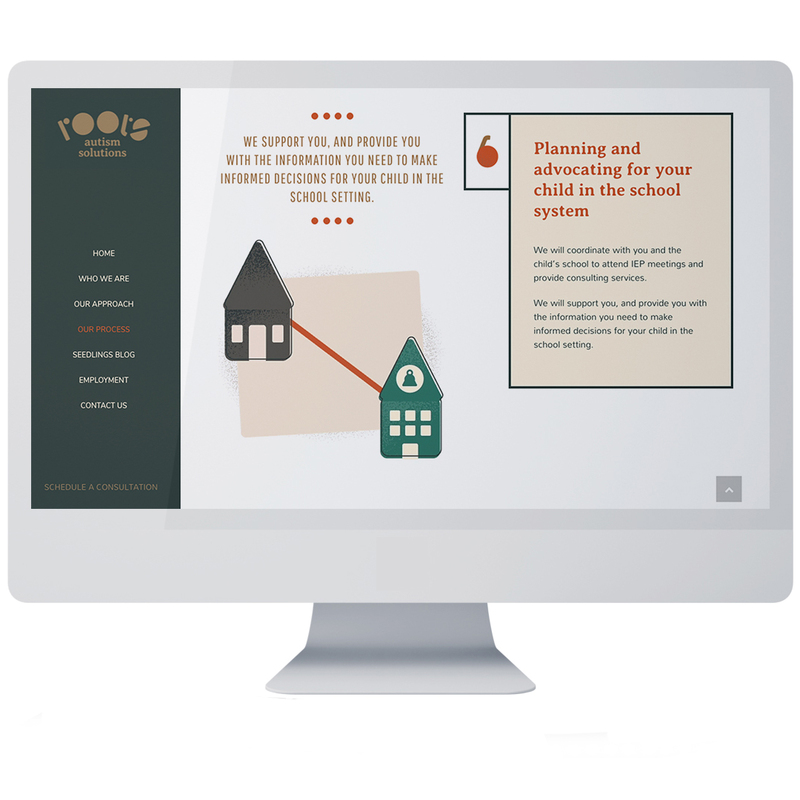 They wanted new branding and a website that was warm, welcoming, and easy to understand. 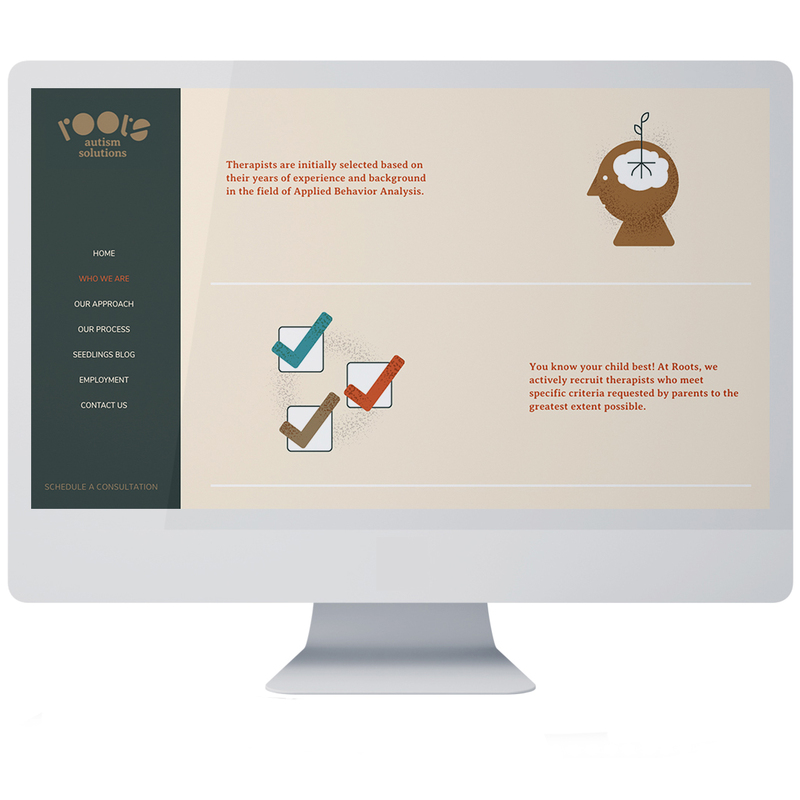 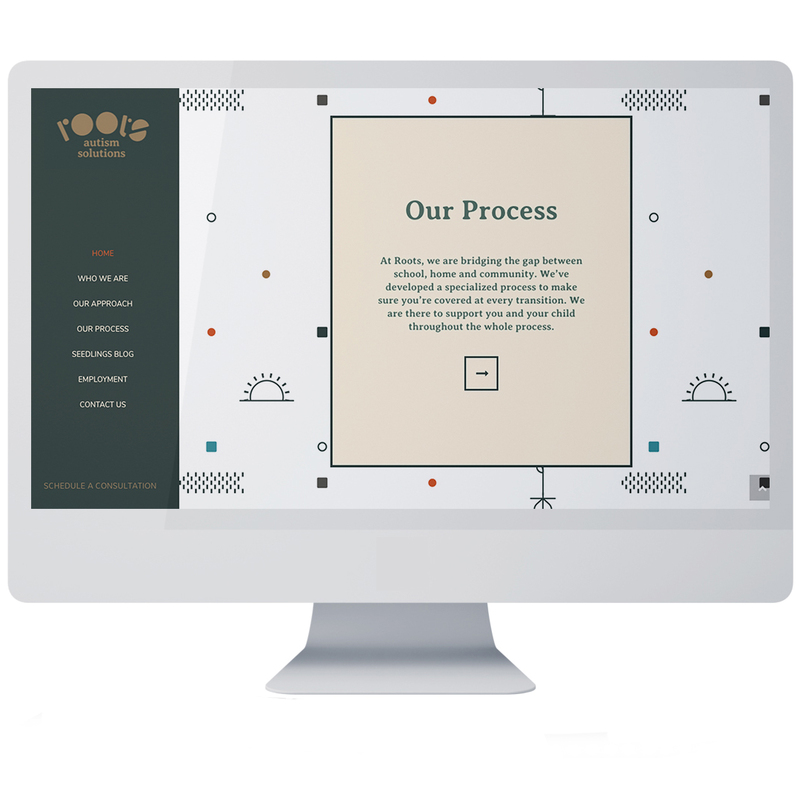 By using earth tones, simple shapes, and clear copy, we helped their business stand out.